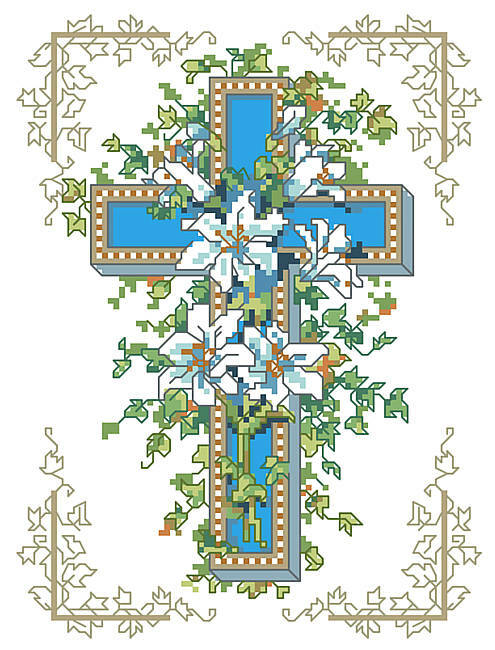 This beautifully decorated cross features a delicate lily design and will adorn your home with a sign of your long-lasting faith and inspiration. 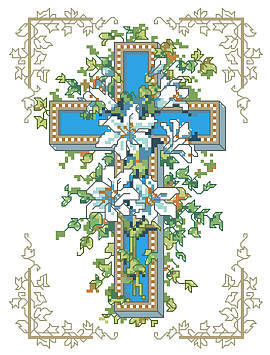 Give this thoughtful gift for birthdays, religious occasions or just because you want to share the gift of love. Contents: Stitch Count 82w X 110h, Finished size on 14-ct 5-3/4" X 7-3/4"